As someone who loves to write it’s odd that I’m afraid of words or maybe that’s why they’re so scary to me. 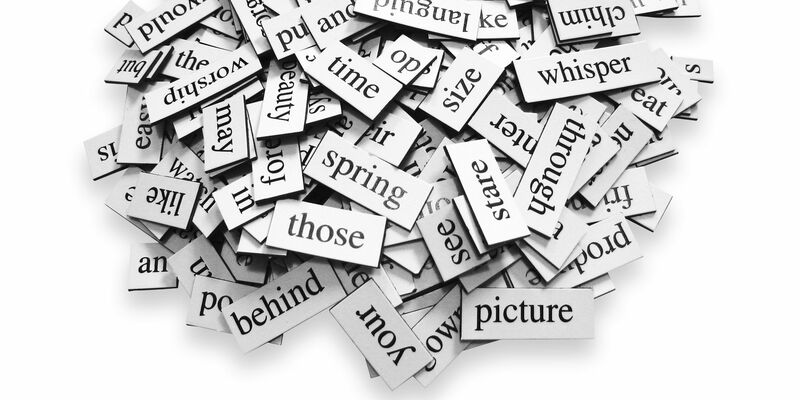 For most people I think words are just a means of communication, however they are so much more. The order of words and the way you emphasize certain ones or the choice of words themselves can entirely change the meaning of what you are trying to portray. I don’t think I’m always the best with words, I chose the wrong ones and end up with my foot in my mouth quite often. It’s hard for me to determine what words are deemed appropriate for the situation and what are not. There are too many choices and when you say the first choice that comes to your head it’s not going to be quite the right one. I think it’s easier to say the wrong thing because there is the perfect way to say the right thing but a thousand different ways to say the wrong thing. That’s really scary to me because I usually try to think before I talk but sometimes I don’t and I’m afraid of offending people when I don’t try it. I mean sometimes I try to offend people and then I pick the right words but sometimes I do it not on purpose and I end up feeling really bad. Words can also be interpreted differently, you can read something wrong especially now in the texting era. There are so many different ways to read a text and unless you’re putting out an entire paragraph to explain every joke it’s so easy for things to get interpreted wrong. Jokes and sarcasm can be taken seriously and if you don’t explain yourself things can end up wrong, this is one of the few times when I can see technology interfering with our everyday lives. Sharing your thoughts on social media can also be dangerous. You have to watch what you say because subtweets are a thing and even if you don’t mean it, they can be taken in such a way where someone will question you as a person. That’s public for the world to see and it never goes away. Words are more powerful than you think. Keep that in mind.